Possession is “the deepest relationship that you can have with things”, wrote the known German writer Hannah Arendt. The impulse and the pride of the collection, interpreted as the pleasure of possession, not only to categorize things but also to preserve the memory and the experience of them, reveal an insuppressible instinct to life. The same vitality that distinguishes Fabio Castelli , entrepreneur and art collector, founder and artistic Director of MIA, Milan Image Art fair: after 20.000 visitors for its fourth edition held in Milan from the 23rd to 25th May 2014, it will arrive in the fall in Singapore (23rd -26th October 2014). 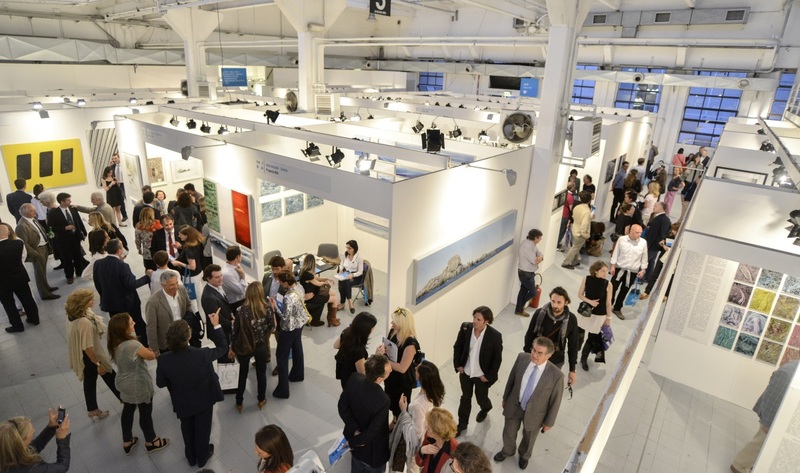 Since its first edition the show maintained its own innovative formula: only one artist per booth and a catalogue for each artist, for a total of 180 participating galleries and 28 artists self-collected under the section “MIA proposal”. The 2014 edition also has included special attention to archiving, through the presentation of the prize (in its second edition) in the selection of the most deserving Italian archival institution dedicated to photography; this award was created by IO Donna Magazine in collaboration with MIA Fair and the Museum of Contemporary Photography of Cinisello Balsamo, with the support of Eberhard & Co. This award was addressed to private archives of Italian authors, often forgotten, whose work represents a heritage of artistic importance and of great documentary value. Thus, we met Fabio Castelli, who gently takes the time, for the readers of MyTemplArt Magazine, to explain his career as a collector and operator of cultural importance in the contemporary art system. Deianira Amico: We would like to begin this interview by investigating your profile as a collector. When and why did you start collecting? Fabio Castelli: I started collecting a little more than 20 years ago, mainly painting. Refining my taste, started the need in me to move towards the most important authors. In the first place it was the speech quality. My interest then turns to incision, understood not only as a byproduct since multiple copies are made from the same matrix, but as an autonomous language having unique expressive possibilities. My collection includes all artistic periods, from the incunabula to the Renaissance to the contemporary artists, because collecting for me is like an excursion throughout the history of art. When I came across the Barbizon school, I then met with the cliché-verre, a technique halfway between etching and photo printing, the light impressing the sensitive paper, so I passed to photography. As was the case for incision, I traced the history through the practice of the collector, expanding my collection from daguerreotypes to contemporary photography. For me, collecting has always been a way to know. D.A: Of how many works consists your collection and how is it catalogued and preserved? F.C: There are many. I can just remember the St. Jerome incision by Durer, the cliché-verre by Corot; Man Ray, Ghirri, Horst, Kentridge… Every work has been catalogued with its own card in paper and digital form, with updated values of recent auctions. D.A:What is, in your opinion, the role of the collector in the contemporary art system and the function of the archive? F.C: The collector is entrusted with the preservation of the works, which is an important issue. It is a trust for society and posterity. In my opinion collecting is, beyond the selfish aspect of investment, a practice that should contribute o the dissemination of knowledge. D.A: From whom do you buy artworks? F.C: I buy them from auction houses, galleries, in particular I can remember Photology , Gallery 291 directed by Palazzoli, and that of Lanfranco Colombo, Il Diaframma, at Via Brera. I also bought a lot from the artists, Basilico and Fontana for example, with whom I had personal relationships of respect and friendship. D.A: How do you relate with institutions? Is it you ambition that your works become part of a public collection? F.C: As long as I do not see a collaboration between public and private and especially as long as the public department continues to ignore the enormous potential of the cultural sector, this possibility seems to me very difficult. I had an exchange with the Ministry regarding the right of first refusal that the State exercised as a result of my willingness to sell a series of photographs related to the constraint of cultural property. The series was acquired at a price much lower than that of the market, in order to be exhibited at the Museum of Cinisello Balsamo. Since then it is in a storage; I wrote to the Ministry to be informed about its fate, without any response. D.A: Have you ever faced an author’s fake or a false certificate of authenticity and how do you think it should be tackled? F.C: The problem of photography is related to the issues of the editions. If all the players in the world of photography knew the rules of the game and what features they should have, the market would be clear and reliable. The fact that operators do not adhere to these rules, believing they are doing their interest, creates a problem especially to those contemporary artists who work through the medium of photography to create unique works. D.A: Which should be these shared principles? F.C: First of all a rigorous attention to the communication of editions that need to be expressed and clearly underlining and if they exist, the artist’s proof and a unique way numbering, even if they were produced in different sizes. The practice of making multiple editions of the same photograph with different sizes is not benefitting the market; it is best to be clear, indicating when the photograph has an open edition, as do artists of the highest quality such as Bresson, Gardin and Nino Migliori. The artists, as well, have to be more careful to point out the editions in the caption of the photographs. D.A: During the recent years, what kind of changes have you seen in the market of photography and video art? F.C: Photography is a medium that has a lot of hits today. 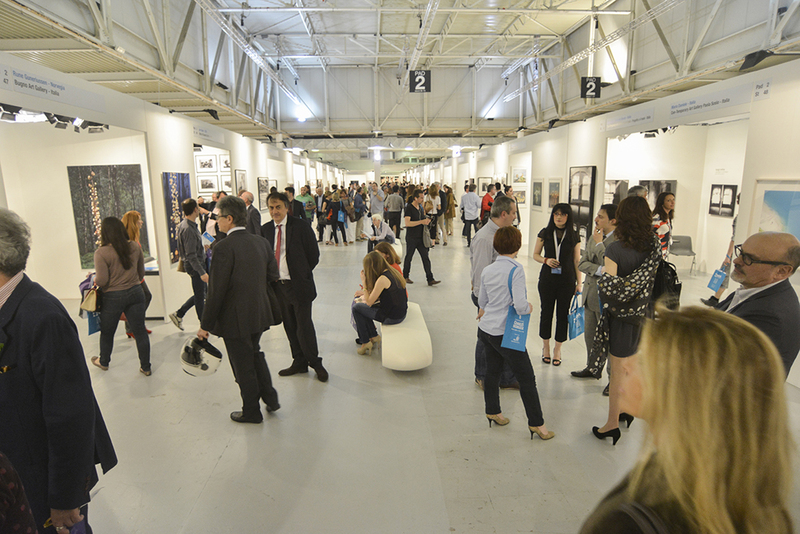 In January 2014 the management of MIA was entrusted with the guardianship of the section at Arte Fiera Bologna, dedicated to photo galleries, a sign that the market is on the rise and that it is possible to stem the flow of typical Italian view according to the fact that everything that is not a unique work is a kind of by product. The success of the photography probably derives from the technique itself that is at the confluence of two cultures, the classic one represented by Ghirri and Giacomelli, for example, and the one of artists who use photography as an expressive language in contemporary art. It is in itself an artistic medium that does not let the viewer feel far from the form of art, as is the case for the virtuosity of the know-how of traditional techniques. 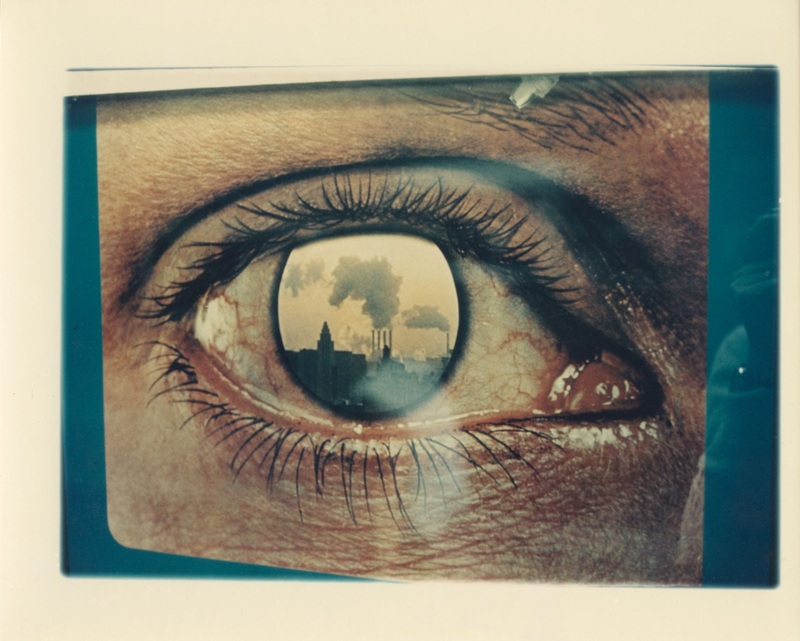 In addition, the economic crisis has led many collectors to approach photography. The market today is the beginning and end of each collection; photography allows easier access and reading comprehension as well as its economic value. 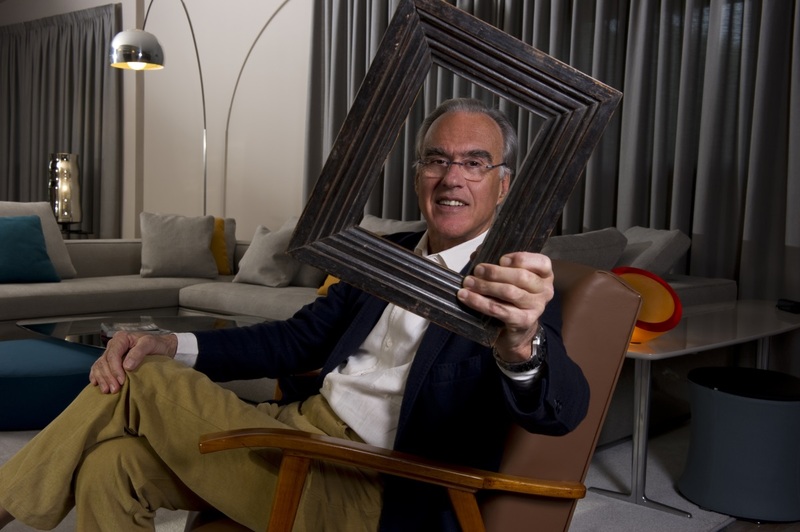 The collector of contemporary art cannot exempt himself from buying photography. For the video art is more difficult, because of the conditioning due to the methods of display and because we are now accustomed to the speed, far from giving attention to the artworks involving a specific duration. I look with great interest at those artists that work with video art as a means to achieve minimum displacements pictures, between video and photography. D.A: MIA arrives in Singapore this year. Why did you choose this city? F.C: The choice is not random, the fight with Hong Kong was hard, but Singapore is a city where there is a lot of investment in art. It is also a very creative geographic area, located between Korea, Vietnam and Japan, places where visual culture is extremely wide and very open to Western culture. In Singapore we will present MIA & D. where D is the letter for Design. We believe that art and design are directed to the same socio-cultural target. We want to propose an integration between the two arts, without marginalizing the design as it happened to MiArt.